One of my greatest fear is letting people know what I have to offer. I don’t know, it’s very crippling trying to muscle up the courage to say to someone I’m skilful enough to do what you want. Even if I do tell them, after completing the job there’s this thought about whether I did the job right and waiting to get a call asking for a refund. Call it rejection, call it stupid but it’s an actual thing. Paralysis to tell people you are good enough. Why this happens I can’t explain it but it happens very often. Is like you don’t want your friends to know what you are up to. Its kinda private and personal, but I expect people to find me and give me money. This is a fantasy of mine, I set up a basic social media profile. Share a post every now and again and magically my business grow leaps and bounds and I can run off into the sunset rich. I know this sounds stupid but I actually wish this happened in real life. In the book the magic of thinking big, the author shares that you overcome fear by taking action. But this one is true somewhat but it’s still uncomfortable. I hate calling people but a large part of my job is calling people for interviews. Strange isn’t it. You have to call someone but you spend the entire day trying to convince yourself to make the call. Intentional procrastination because of fear. This is real and I know I’m not the only person that this happens to. Fear is an actual thing and persons hoping to build a business and let other people know what they have to offer, overcoming fear is part of the journey. One of the skills you have to master is learning how to show people over and over that you have the skills. This can be in multiple ways. Sharing video, blog post, audio and so forth. Stepping outside the box and putting yourself in a very vulnerable position. Knowing what to do is half the job. The next half is doing so in a very creative way that grabs people attention. But creativity cannot be taught you have to steal ideas and fuse them with other ideas to make them your own. Creative borrowing as they call it. Fusing your influences in such a way that it works to convince enough people to trust you. Do it long enough to create a habit. And once you have the habit of fusing what you like, it will always turn out to be unique. So how does this help in terms of marketing yourself and what you do? Everyone has to learn how to sell other people on them. So before you even think about everything else you have to know your product. Meaning what do you bring to the table and who will want it. The next thing is knowing how to explain it in such a way that people get it. Once you have this down, you create an offer which will be used to tell the world about what you do. Sometimes a one-shot message repeated over and over is what you need. Sometimes teaching your skill works. Other times just sharing your creative pieces and your work works as well. The key is do something consistently and people will start to take notice. Knowing this is just the basics you’ll need in order to move forward with building a successful career at anything. The next thing is you’ll need marketing material to share that message with people. That’s one of the things that is often not explored and I must add I never spent enough time doing this in the early parts. I knew I had something to offer but never spent the time to nail down the specifics and focused on how to explain it to people. 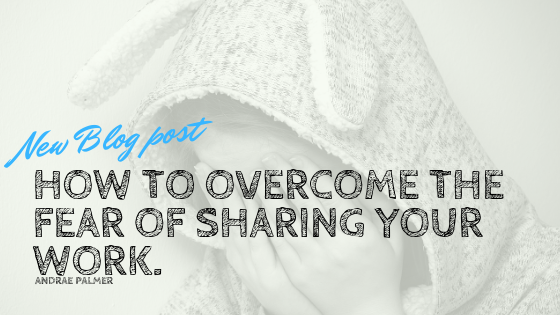 If you have read this far, then hopefully you start to get the picture that taking the time out to share a little piece of you will make a big difference to building your business, music career or whatever it is you are doing.